Offering his first public comments over faltering US-brokered peace talks on Sunday, Netanyahu further warned that Israel would not sit idly by if Palestinians attempted to move towards statehood unilaterally. "Unilateral steps by the Palestinians will be answered with unilateral steps on our part," YNet News cites Netanyahu as saying at a weekly cabinet address on Sunday. 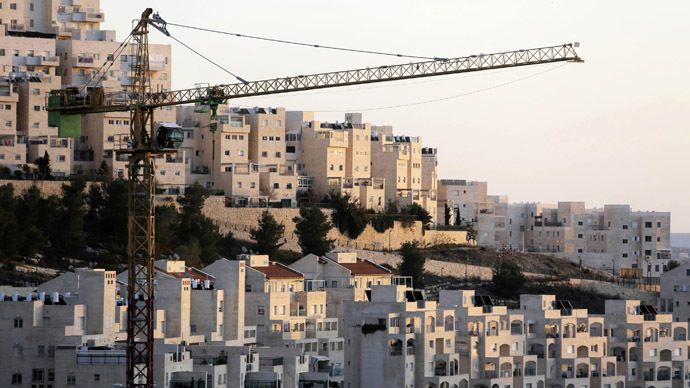 The Israeli PM had earlier said that "the Palestinians will get a state only though direct negotiations, and not through empty declarations, nor through unilateral actions that will only keep the peace agreement further away." Netanyahu said that while Israel had demonstrated its willingness to take tough steps and create a framework for ending the conflict, the Palestinian leadership had actively undermined peace talks with its actions. "Right when we were about to come close to that framework, (Palestinian President Mahmoud) Abbas rushed to declare he will not even discuss recognizing Israel as the national state of the Jewish people – not even discuss, not to mention agree. He did so even though he knows no agreement will be signed without the recognition of Israel as the national state of the Jewish people, something that the US president and other world leaders also made clear," he said. Meanwhile, earlier on Sunday, Israel’s chief negotiator said the US needed to change its tactics in Israeli-Palestinian peace talks, adding that negotiations need to become more direct between Tel Aviv and the Palestinians. She said America's only role should be as a facilitator. "Part of what happened in the past few months was more negotiations between us and the United States and less with the Palestinians," Israel’s chief negotiator, Tzipi Livni, told Channel Two's Meet the Press on Saturday. "I believe we need to move to more meetings, more direct negotiations, more than we have had so far, and I think the Americans know this," Livni added. "American involvement – yes, but as facilitators of bilateral negotiations." The latest round of US-brokered peace talks appeared once again to be fruitless. Secretary of State John Kerry said Friday that the Obama administration will reassess its role in attempting to broker a peace deal between Israel and Palestine. Speaking to reporters from Rabat, Morocco amid his latest tour overseas, Kerry said the most recent attempts from the US to find common ground between leadership in the Middle East have failed. Both sides said last year that they would reach an agreement by the end of April 2014, but little progress has been made. 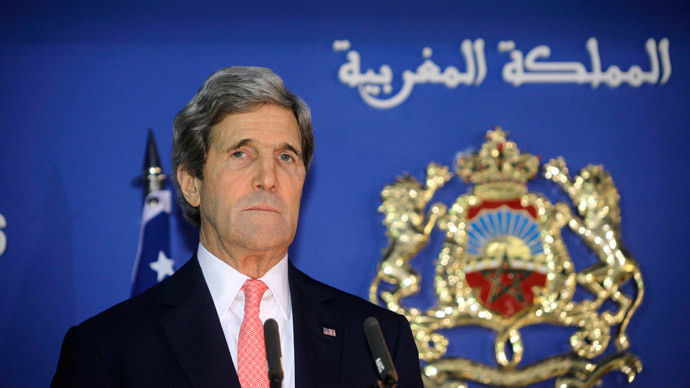 "They say they want to continue,” Kerry said of both sides, as quoted by AP. "But we are not going to sit there indefinitely. This is not an open-ended effort. It's reality check time." Israel had initially agreed to release a fourth and final group of Palestinian prisoners, but rescinded that promise earlier this week, causing discussions to deteriorate even further. 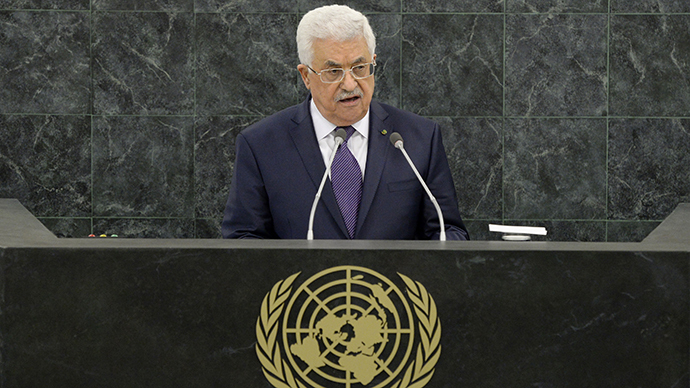 Palestinian President Mahmoud Abbas responded on Tuesday by saying that his nation is seeking greater recognition from the United Nations, much to the chagrin of Israeli Prime Minister Benjamin Netanyahu. The Palestinian Authority leader held an emergency meeting in Ramallah, where he signed a document to join 15 UN agencies and international organizations in a televised ceremony. Abbas said he made the decision after Israel delayed the fourth release of Palestinian prisoners, which had been scheduled for March 29. 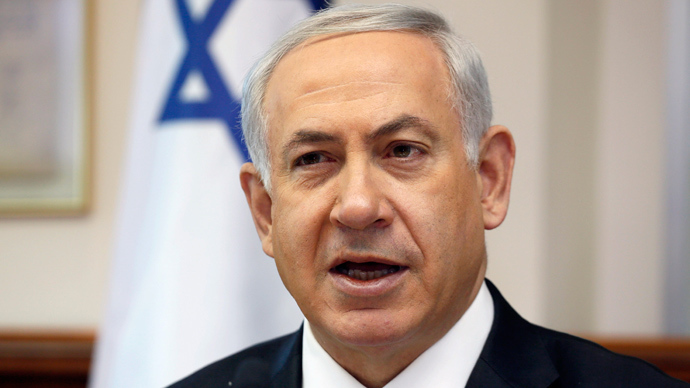 “We have nothing against American efforts,” he said, stressing that Israel is procrastinating. US Secretary of State John Kerry was due to fly to Ramallah for talks to try and extend the three-way negotiations until 2015. However, following Abbas's move the trip was cancelled. Nevertheless, US envoy Martin Indyk is scheduled to meet Livni and chief Palestinian negotiator Saeb Erekaton on Sunday, in an effort to salvage the talks, Reuters cited Palestinian and Israeli officials as saying. Peace talks between Israel and the Palestinians resumed last July. Abbas said he would suspend attempts to join UN agencies, while Israel promised to release 104 Palestinian prisoners in four groups.